The Irish Progressive Association for Autism (IPAA) is a Cork based Voluntary Organisation established in September 2001. 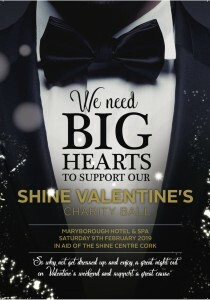 Since its establishment IPAA/Shine has worked with hundreds of families across Cork city and county to secure assessments, therapies, services and appropriate education for their children. Since it’s formation Shine/IPAA has expanded with the needs and demands of children with autism and their families. 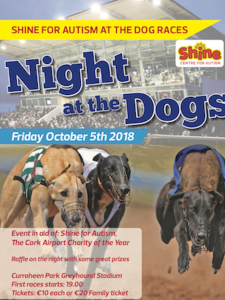 In 2007 the organisation took a major step forward in the provision of services for children and families affected by autism with the opening of the Shine Centre in Carrigaline Co Cork. The opening of the new Centre saw an expansion of services in the Early Learning Unit, Life Skills Classes, Social Groups, Educational Support Service and Training. The Centre was established to meet the needs of the ever increasing numbers of children in Cork City and County with an Autistic Spectrum Disorder diagnosis. Since the opening of the Centre we now provide services and support to over 80 children and adolescents with autism, their carers, educators and parents on a weekly basis. The Centre has a staff of twenty one and a fully equipped Sensory Room, Life Skills Room, Training Room, Conference Room and three fully equipped classrooms. 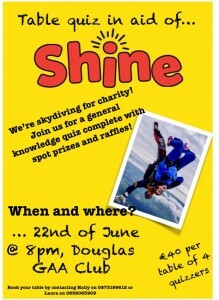 IPAA/Shine is a Voluntary Organisation and a Registered Charity. Shine (IPAA) has a stated policy of working with all government bodies and agencies, where possible, to ensure the best use of resources and to avoid duplication of services. We actively pursue the implementation of best international practice and standards for services to autistic persons. In all instances the autistic person and their family are at the centre of all decision making. We continue to invest in facilities with the addition of a Sensory Garden, Soft Play Room and a fully equipped Sensory Room added in the last three years. This gives our children access to additional resources and allows the Centre to cater for more children and adolescents with autism with additional and more complex needs. All of our staff are experienced in working with children with autism, with many senior staff having over ten years experience. All of the Shine Centre staff have an appropriate degree and additional training in working with children with autism with a number achieving Masters qualifications in recent years. All Shine Centre staff are encouraged to up-skill on a regular basis to equip them with appropriate skill sets they need to meet the many and varied educational and developmental approaches required to work effectively with children with autism. This allows the Shine Centre to offer a range of educational approaches and techniques and teaching methodologies appropriate to the individual needs of the child. The Shine Early Education Unit works with 24 children aged between 3 and 6 years on a daily basis. This age range is a key intervention window in the development of a child with autism and the Shine EEU has worked with hundreds of young children with autism since its establishment in 2005.The staff of the Early Education Unit concentrate on the key areas of communication, cognitive development, play skills, behaviour management and self management skills. This is a demand led service as many children with autism in a mainstream school environment struggle to succeed educationally. Our Educational Support Officers work with both the child and the teaching staff to create the best and most appropriate learning environment to achieve the best outcome for all involved. The Educational Support Service is at present working with over thirty schools in the Cork City & County area. The Educational Support Service offers ‘solution’ based approach to teachers to help solve problems both children and teachers are encountering in classroom. Parents are fully involved at all stages and all stake holders must sign off on agreed approach before it is implemented. The success rate to date is highly impressive as many students, parents and schools will testify. Shine believes very strongly in equipping as many parents and professionals with the knowledge and skills they need to both understand, help and work in the positive development of children with autism. The concept of parallel learning is vital in creating the best outcomes for children and their families and also their academic development. Shine have developed its own courses for Parents, Teachers, SNAs and Professionals, and has developed partnerships with other training organisations to present or facilitate what we consider to be relevant courses in the area of autism. 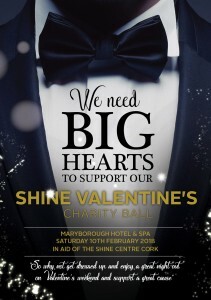 These courses are held at the Shine Centre and other locations throughout County Cork. We also visit Schools as part of their Transition Year Programmes to talk to the students about understanding children and adolescents with autism. • Autism In The Mainstream Classroom . The PALS (Personal & Lifeskills Programme):This programme works with adolescents and concentrates on their deficits in self esteem and confidence building, understanding and self management of emotions and developing and sustaining friendships. This programme addresses the disconnect between children with HFA or Aspergers Syndrome and their peer groups as they enter adolescents. The aim of the PALS Programme is to help these children cope with the transition to Secondary School and the social and academic pressure that transition brings. PALS is a 24 month programme that equips our children with the life and social skills they need to operate in a peer group social setting and avoid isolation, anxiety, depression and bullying. The PALS programme caters for 18 children per annum and operates two afternoons per week. Family Support & Advocacy Service: This service provides the parents and families of people with autism with information and advice in the areas of entitlements, service provision, education and their rights under disability legislation. This service is headed up by Kieran Kennedy and received over 3,500 calls in 2013. To contact the Family Support Service call 021 4377052. Shine also run a number of Social Clubs and Life Skills Classes for younger children These classes are primarily designed to assist ASD children in school and home life by equipping them with the social, life skills and independent living skills they need to cope in everyday situations. You will note from the many and varied services we provide to persons with autism, their families, carers and educators that we try to provide an integrated and inclusive approach to all of our services. We work with and collaborate with as many government bodies/agencies as possible. We exclude no child based on their diagnosis or needs if we have the skill sets and facilities required to assist in their development.